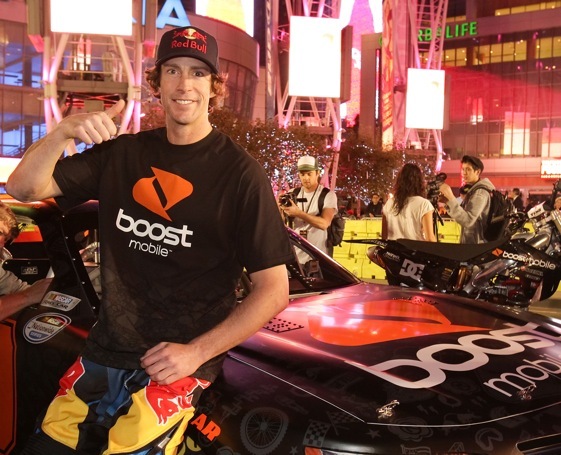 The much-anticipated debut of action sports star Travis Pastrana in the NASCAR Nationwide Series will continue to be much-anticiapted until next season. Pastrana Waltrip Racing announced today that Pastrana will not make his NNS debut until the 2012 season because of injuries suffered during the 17th annual X Games last week in Los Angeles. The 11-time X Games gold medalist broke his right ankle and foot while attempting a Rodeo 720 with a back flip during the Best Trick competition in Los Angeles, forcing him to miss his scheduled NASCAR Nationwide Series debut at Lucas Oil Raceway in Indianapolis last Saturday. The injuries required surgery, which was completed by Dr. Tom Dennis at Riva Road Surgical Center in Annapolis, Md., Wednesday evening. Dr. Dennis said the operation was a success and that Pastrana should make a full recovery following a strict healing process which will require Pastrana to be immobilized in traction for at least one month and unable to apply weight on his right leg for another month. Pastrana made his NASCAR debut on January 29 when he finished sixth in the Toyota All-Star Showdown at Irwindale Speedway. Pastrana was scheduled to run a total of seven Nationwide Series races this season with his debut at Lucas Oil Raceway in Indianapolis, Ind. on July 30.